Despite major backlash from scientists, politicians and environmental groups, Australia's Environmental Protection Authority (EPA) has announced that it won't assess Western Australia's controversial shark cull. The announcement comes after the department received over 23,000 comments about the cull during a public comment period last month. "The test is whether this proposal is likely to cause a significant impact on the environment," EPA chairman Paul Vogel said on 720 ABC Perth. "The proposal is of very limited duration and of very, very small scale, and our advice is that this proposal will not have a significant impact on the environment." 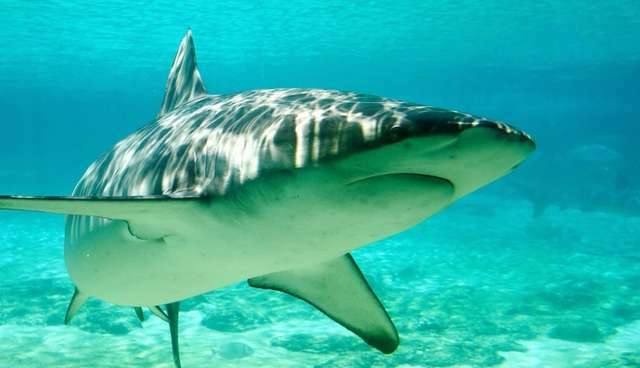 The policy -- first begun in an effort to reduce the number of fatal shark attacks on humans -- involves setting baited drum lines off seven beaches, and shooting sharks over 10 feet. Since the cull began in January, of the 104 sharks caught, only 30 have been more than 10 feet. Australia's Conservation Council's Piers Verstegen said that the EPA made an "astonishing decision." "And what it shows is, again, when it comes to the environment we've really got one law that applies to the Government and a different law that applies to everyone else," he said. You can sign a petition calling for an end to Western Australia's shark cull here.